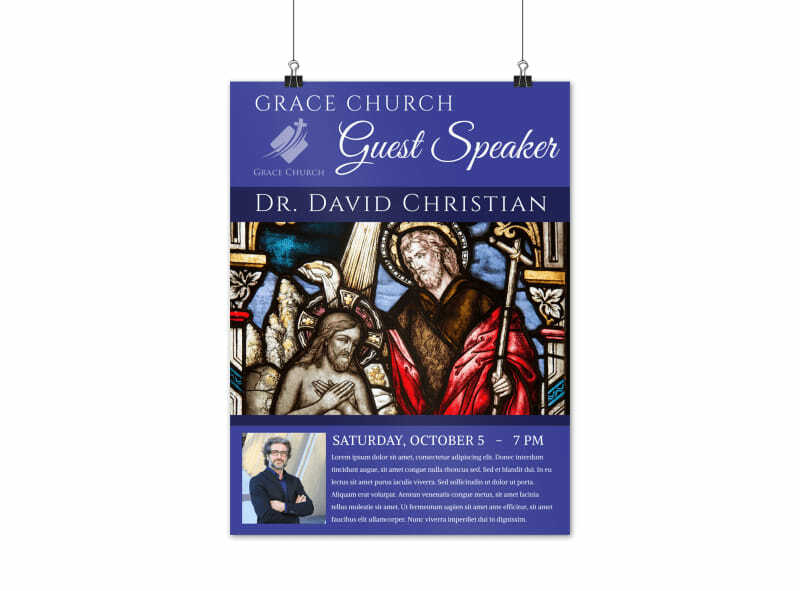 Customize our Guest Church Speaker Poster Template and more! 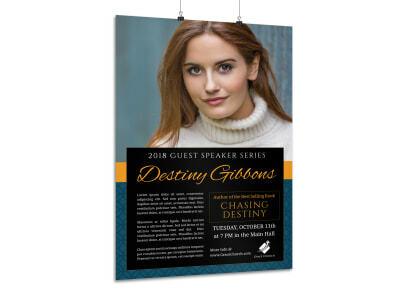 Show your excitement about an upcoming speaker or performance with this poster that promotes your church’s event. 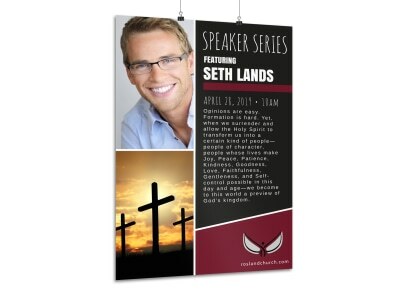 Use our user-friendly online editor to upload images of your church’s upcoming guest speaker, select a color theme of your preference, and add text to entice members of the community to join your congregation for the upcoming sermon. 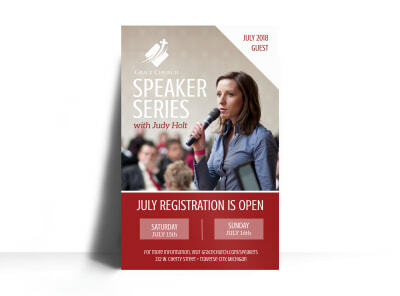 Get busy building your attention-commanding poster now!